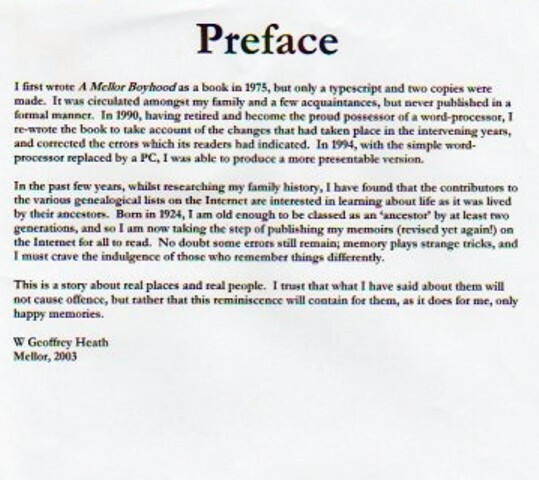 11 pages downloaded from Globalnet website uploaded by W G Heath with a Preface giving information on "A Mellor Boyhood" with an update and additions to the original typed transcript from 1975 ( CAB/02/07). 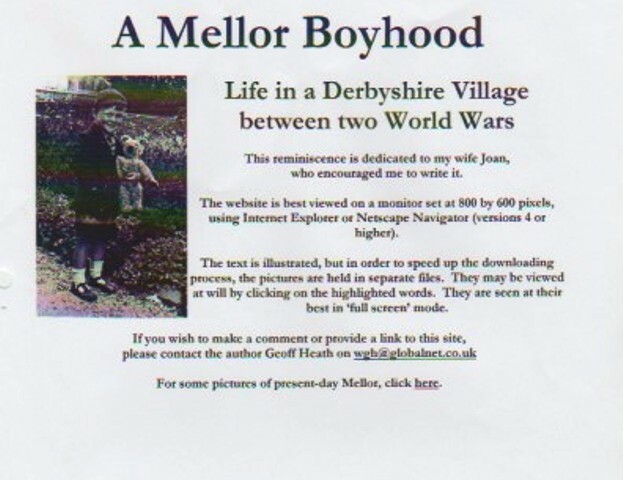 Full Version of "A Mellor Boyhood" available to read. 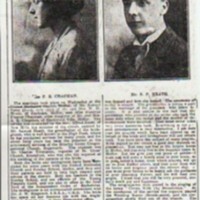 Photocopy of newspaper cutting giving report of his mother and fathers marriage, (Florence and Samuel Heath) Mellor 1920's. 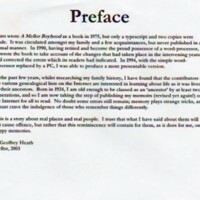 8 page typed extract from "A Mellor Boyhood" with notations. 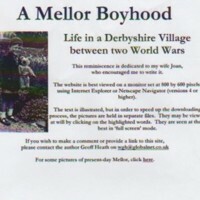 “Updates/Additions to "A Mellor Boyhood" : W G Heath : 2003,” Marple Local History Society Archives, accessed April 24, 2019, http://marplelocalhistorysociety.org.uk/archives/items/show/2344.